If you have ever experienced a concert that left you exhilarated, stimulated, and wanting more, chances are it was a U2 concert. U2 has played to countless music lovers in thousands of venues over the past three decades, and they show no signs of slowing down. VEGAS U2 has attempted to capture that energy and bring it to three types of people: 1. those that count U2 amongst their favorite all-time concert adventures, 2. casual U2 fans, and 3. those new to U2. VEGAS U2 is the closest thing to a real U2 concert: the sights, the sounds, the mannerisms, are all scrutinized to the minutest detail. You’ll feel like you are in the front row witnessing The Edge’s guitar wizardry, Bono’s bombastic showmanship, and the rock solid rhythm section of Larry Mullen Jr. and Adam Clayton. You’ll sing along to all the hits and a you may find a few new tunes to fall in love with. 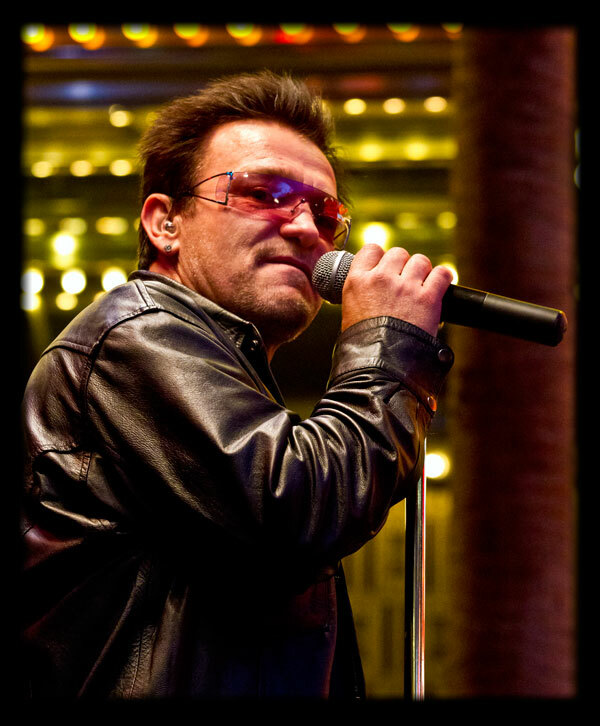 Experience the passion and precision of U2. Vegas-style. You can book Vegas U2 for your next event just by clicking the "Book Them Now" button to the right and filling out the form. We will be in contact with you about their availability as soon as possible.